Coach Michelle coaches a variety of levels and she wanted to open up a Recreational gymnastics facility. With experience in the competitive levels, her passion remains with the recreational tumbling and gymnastics. She wanted a gym where there was no pressure of competitions and wanting a gym that could still coach advanced levels, for some kids who just want to tumble because they love it and don’t want to compete. Because of Coach Michelle’s experience with the competitive side, when she does see talent, she lets the parents know, and it is up to the parents if to decide if they want to take the competitive approach. Coach Michelle reiterates,” It’s always about the child at the end of the day and what is best for them.” Coach Michelle coaches several cheerleaders, dancers and competitive gymnasts that want to work primarily with their tumbling skills. 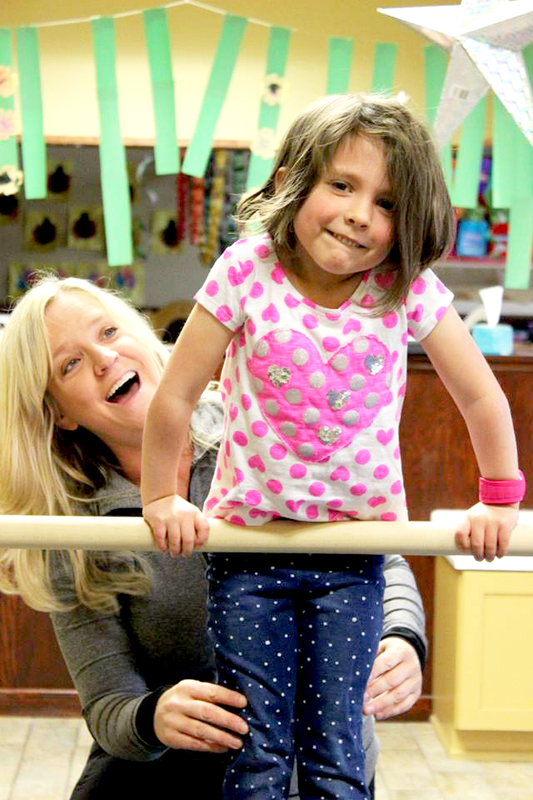 Not only does Coach Michelle own her own tumbling and gymnastics gym, she is a busy single mom of two beautiful daughters’ and volunteers frequently at her daughter’s school. On her free time, she enjoys mostly spending time with her daughters and working out.